Considering Rhinoplasty or Nose Surgery? Looking to Put Your Best Face Forward? Dr. Kenneth Hughes, MD in Los Angeles has developed a real passion for producing natural rhinoplasty results. Dr. Hughes performs about 100 nose reshaping procedures (rhinoplasties) each year. He performs both open rhinoplasty (with an external scar on the underside of the nose) and closed rhinoplasty (no external scars). Dr. Kenneth Hughes also performs nonsurgical rhinoplasty, which is rhinoplasty with placement of fillers, but Dr. Hughes knows that surgical results cannot be achieved with nonsurgical approaches. Cosmetic Town gathered accurate and unbiased information about Beverly Hills physicians, as well as doctors in the surrounding areas of Los Angeles, Hollywood and Santa Monica. Unlike other websites and advertising outlets, such as airline magazines and online ads, Cosmetic Town does not accept any sort of sponsorship for these listings. Though the closed rhinoplasty is a more difficult procedure and most surgeons perform open rhinoplasties, Dr. Hughes performs most of his rhinoplasties with the closed approach. This has several benefits for the patient : 1) the patient has no visible scars 2) the structure of the tip is better preserved 3) the patient heals more quickly with less swelling and 4) there is better remaining blood supply to the nose. With these advanced closed rhinoplasty techniques, Dr. Hughes can achieve your best natural result and have you back interacting in the public in sometimes as little as one to week or perhaps two weeks. In addition, many plastic surgeons and facial plastic surgeons feel that rhinoplasty is the most difficult operation and many quote a 25% revision rate. Dr. Hughes finds rhinoplasty to be one of the most straightforward plastic surgery procedures and his revision rate is approximately 6%. It is absolutely true that some patients will want a touch up or a revision no matter what result is achieved. It is also a true statement that suture techniques can be sabotaged by breakage during recovery and grafts or implants can shift, and thus no one technique is completely reliable. Dr. Hughes takes videos on the table to illustrate the on-the-table result so that there is no confusion as to what was achieved during the surgery. Patients almost uniformly oversimplify the challenges of surgery and the healing period as well as certain individual traits or flaws that may be almost impossible to overcome, irrespective of perfect execution of the rhinoplasty surgery. This scarless approach to rhinoplasty is utilized by Dr. Hughes to produce results that are always natural. In addition, Dr. Hughes’s rhinoplasty patients are looking good far sooner than in open approaches, often in two or three weeks. However, please be aware that conventional wisdom in rhinoplasty is that results take one year to be fully recognized. What Separates Dr. Hughes’s Rhinoplasty Results from the Work of Other Plastic Surgeons? Dr. Hughes does not produce pinched tips or collapsed noses or noses with visible tip grafts. In addition, Dr. Hughes in Los Angeles, CA has special fellowship training at Harvard University that allows him to not only produce the cosmetic result you desire, but also prevent postoperative breathing problems. Being adept at correcting both cosmetic and functional components of septoplasty and rhinoplasty, Dr. Hughes has the expertise that few possess. Dr. Hughes has expertise in both primary (first time) rhinoplasty or revision rhinoplasty (secondary, tertiary) and can improve your nose after previous surgery or trauma. Even if you were not satisfied with your first surgery by another surgeon, do not despair. Dr. Hughes has a solution for you. About 25% of Dr. Hughes’s rhinoplasties each year are revisions of rhinoplasties done elsewhere. Much discussion these days is given to ethnic rhinoplasty. Dr. Hughes operates on people of all ethnic categories – Caucasian, Latin (Hispanic), African American, and Asian among others. Although each ethnicity may have features that are more prevalent, the individual and the goals of that individual and not the ethnic group are what really matters in the evaluation for rhinoplasty and for the rhinoplasty goals of that individual and, ultimately, the results. Each patient is assessed as an individual, and plans are made for an operation that is tailored to achieve the goals of that patient. Whether you need your tip reduced or rotated upward, your hump reduced, your bridge elevated, or your whole nose made smaller, Dr. Hughes can tailor the rhinoplasty to your individual needs and tastes. With minimal downtime with this scarless approach, your time for rhinoplasty in Los Angeles or Beverly Hills at Hughes Plastic Surgery is now. Rhinoplasty is considered by most plastic surgeons to be one of the most difficult operations to perform along with full breast lift (mastopexy) and face and neck lift. There is a wide variation in an individual patient’s nasal anatomy and cosmetic concerns. Dr. Hughes will discuss in great detail what is realistic for a certain patient and what is not. The most important consideration is that a patient must be able to breathe well after rhinoplasty. Otherwise, the surgery is a failure. Dr. Hughes frequently performs secondary rhinoplasties for both breathing and for cosmetic concerns. In general, a good candidate is one who will get significant benefit from the surgery, and one who has realistic expectations about what to expect as a final result. All patients should realize that final results will take at least a year to be realized. As your plastic surgeon, Dr. Hughes will have to assess these items during your consultation. What Are the Expectations and Goals for the Rhinoplasty? The patient must be able to articulate what things that he or she does not like about the nose. Certain things are easy to point out, such as a large hump on profile view. Other things are more difficult to ascertain or articulate. Dr. Hughes will work with you to determine exactly what you would like fixed. Dr. Hughes does not perform the same operation for every nose. He performs the rhinoplasty that you want. Dr. Hughes will evaluate your goals and determine if they are realistic. Neither Dr. Hughes nor any other plastic surgeon can make someone’s nose like that of a famous actress. Healing factors alone and skin thickness and texture make that impossible. Finally, Dr. Hughes understands facial proportions and aesthetics, and he will help to achieve balance and harmony with nose and face alike. The dorsum is the area of the nose from the forehead to the tip. Patients can have complaints of both increased nasal width or decreased. Patients may also complain that the dorsum has a hump or bump on it. Similarly, patients may have a scooped out dorsum or a collapsed nasal vault. Finally, the superior most aspect of the dorsum may be too high or too low. Sometimes the overall shape of the nose appears crooked and this aspect can be improved as well with cartilage grafting and/or septum alteration. All of the these items can be addressed with a rhinoplasty with Dr. Hughes. The tip is one of the most frequently disliked parts of a patient’s nose. For many the tip may be too big or bulbous or possibly too wide. This large tip can frequently be corrected with conservative cartilage removal and suture techniques, although Dr. Hughes has used cartilage grafts and implants when necessary. Some patients may complain of a tip that is too small or pinched. Sometimes these patients have breathing difficulties that must be corrected at the time of the surgery. Occasionally, the patient may require cartilage grafts to fix either the breathing problem, give more support, help with asymmetry, or improve tip projection. 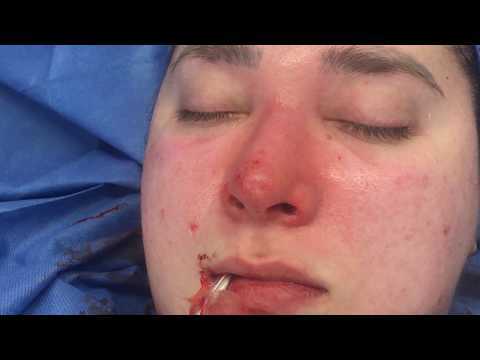 Sometimes, in nasal revision surgery, tip grafts may need to be removed among other maneuvers. The tip may also be droopy or too low. Frequently, these patients will want the tip lifted to create a more refined look. This is the area of the nostrils. Many, many patients have a great deal of nostril asymmetry that may be frequently unmasked when a tip is elevated or rotated upward. Very little can be done to improve the asymmetry of the nostrils. Dr. Hughes will point out if you have a great deal of nostril asymmetry. The nostril size can be reduced to improve symmetry. Large nostrils or noses that appear too wide at the base can be reduced as well and this procedure is often referred to as alar base reduction. Dr. Hughes frequently performs these procedures for Latin American and African American patients, although this procedure can be performed in any ethnicity. Dr. Hughes performs almost all primary and revision rhinoplasties with a closed technique (no visible scars). Once the nose is injected with lidocaine with epinephrine and the incisions are made, Dr. Hughes may trim the upper portions of the lower lateral cartilages (called a cephalic trim). This will reduce the apparent size or fullness of the nasal tip (refine the tip) and will help the tip rotate upward. Thus, this cephalic trim technique can be used to 1) refine the tip and 2) elevate a droopy tip. Many patients have a deviated septum which may create a breathing issue but this septal deviation may also create a crooked or asymmetric nose. This deviation may be corrected by any number of maneuvers including cartilage grafts. Sometimes, Dr. Hughes will trim a little bit of the cartilage at the lower portion of the septum to help reduce apparent droopiness or columellar hang or columellar show. This may be referred to as a columelloplasty. In addition, the portion of the cartilage that is hanging may need to be sutured to the septum to improve this hanging appearance. At this point, Dr. Hughes may reduce the cartilaginous portion of your hump if you have one or the tip may be deprojected by removing some of the septal height. If there is a bony hump present, Dr. Hughes will reduce the bony portion of your hump. As an accompanying procedure to a hump reduction, Dr. Hughes will usually infracture your nose to both narrow the width of your nose and close the open roof caused by removal of the dorsal hump. If your dorsum or bridge does not require any surgery, these steps will not be performed. Sometimes, a columellar strut can be placed to elevate or support the tip. Usually, the graft is taken from the septum at the time of the rhinoplasty. Sometimes, the cartilage taken from the dorsal hump removal pr cephalic trim can be used as a strut or as cartilage graft needed elsewhere. Tip sutures or stitches are used in their various forms to mold the tip to be more narrow or create lift or improve asymmetry. These stitches are placed into the cartilaginous structure itself. 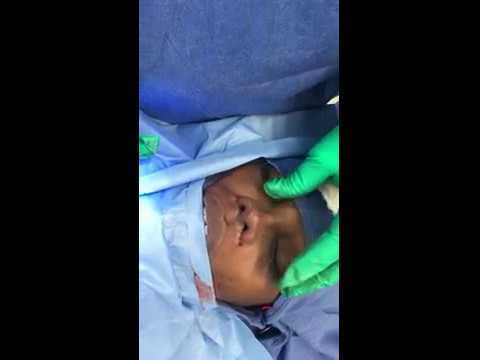 These are very powerful stitches in altering a nasal tip in rhinoplasty. Interdomal and intradomal sutures reduce nasal width and produce tip definition by creating the ideal cartilaginous framework for the tip. Cartilage grafts can be harvested from septum, ear, or rib in general. They are used for a multitude of purposes. 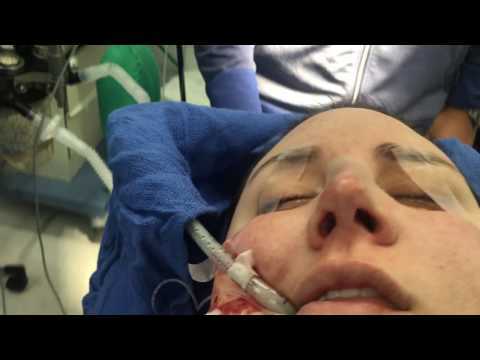 Cartilage grafts can be crushed to improve symmetry in crooked nose cases. Rib cartilage can be used to recreate a dorsum in traumatic deformities. Cartilage grafts can be used for tip projection or definition. Sometimes grafts can be used to hide tip asymmetry. When possible, excised alar cartilage can be used as grafts to provide subtle tip refinement and accentuate changes produced by suturing. When this cartilage does not suffice or more is needed, cartilage can be harvested from the septum or the ear. Some surgeons are proponents of one or the other, but Dr. Hughes has used both cartilage grafts and nasal implants effectively and may use them both for the same patient. Sometimes, cartilage is not available or the patient does not want rib graft or ear harvest. In these situations, an implant is a reasonable alternative. The risk for infection for implant may be higher, though nasal infections after rhinoplasty are extraordinarily rare. Cartilage grafts and nasal implants are used most commonly to improve asymmetry, increase the height of the bridge or tip, or create the illusion of tip or bridge refinement. The patient typically will arrive about 30 minutes prior to the surgical start time. Dr. Hughes will meet with you again to determine if there are any additional changes you would like to make to the operative plan. Also, Dr. Hughes will confirm with you the items of the nose that will be addressed as well as those items you would like to be unaltered. The patient will meet with the anesthesiologist to discuss any issues that may relate to your scheduled surgery. The rhinoplasty operation will be performed under general anesthesia. The operation will last one hour or so. Extremely challenging secondary or tertiary rhinoplasties may last 1.5 hours or so. Dr. Hughes will inject local anesthetic with epinephrine to help with pain control and minimize bleeding. Dr. Hughes will used his closed approach to rhinoplasty so that the patient will have no scars that are visible. He will make incisions along the rim inside and at the junction of the upper and lower lateral cartilages. If an alar base reduction (nostril width reduction) is necessary, the incisions will be made for this as well. The internal incisions are closed with light sutures. No nasal packing or internal splints are placed, so breathing is not compromised. The nose will be taped to mold it and a small white nasal splint may be placed if osteotomies are performed. This concludes the surgery. The patient may spend 1 to 2 hours in recovery as the patient is monitored for any complications and then the patient is released into the care of a responsible adult to return home or to a hotel. Dr. Hughes will see you in one week to remove the splint if placed. Patients frequently notice improvement in appearance immediately with marked improvement at 4 to 6 weeks. Many of Dr. Hughes’s postoperative photos in the rhinoplasty photo gallery are taken at the 1 week follow-up appointment. However, full improvement for the rhinoplasty may take one year as swelling resolves. Dr. Kenneth Hughes, MD in Los Angeles has developed a real passion for producing natural rhinoplasty results. For the first week post-op, sleep on your back with your head elevated. This will keep tension off your nose. Do not sleep face down or on your side. Avoid picking anything up greater than 1-2 lbs the first two weeks. The doctor will advise you when you can start lifting anything heavier. Do not exercise until the doctor says you may do so. Do not bend over try keeping your head back as it may cause bleeding. Do not engage in sexual activity at least 2-3 weeks after your surgery. You will have tape and/or a splint for 1 week. You may shower the first week avoiding your face, as it may cause the splint to fall off. The splint will be removed at first post-op visit. It is normal to see small amounts of dried bloody drainage on the nose. You may put Vaseline on edge of nostril with a Q-tip. Do not poke or touch inside the nose. Do not pick at scabs or crusts. You will have a gauze under your nose that you may change as necessary.